Rodenbach is famous all over the world for its sensational Grand Cru – a flemish red with deep cherry flavours and red wine like aromas. 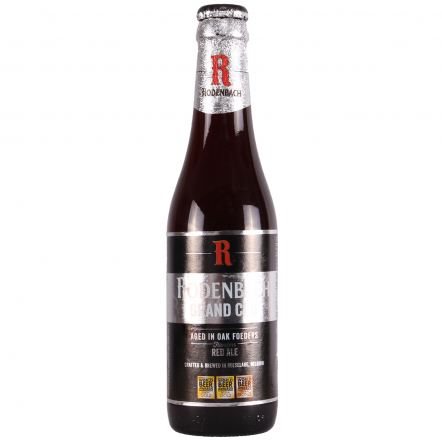 Rodenbach make all their beers by brewing an amber beer and ageing it for up to three years in giant oak barrels. They then blend the beers to get the perfect amount of sweetness and sourness. This process has been going on since the brewery was founded by the four "Rodenbach brothers" in 1821. Their unique yeast is so special it has been used by other breweries, including the great De Dolle and Westvleteren.